The spinach and vegetable-laden Sindhi sai bhaji is well known, but there are several other dishes that are easy to make at home. Try these recipes over the weekend as Sindhis will tell you that Sunday is a great day for dal pakwan. Koki is a popular flatbread in Sindhi cuisine. 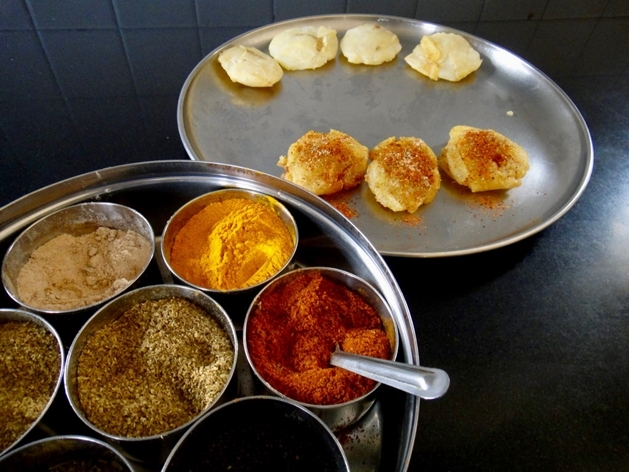 It is made using wheat flour, onions and spices like fenugreek leaves, chilli powder and cumin seeds. Rolled out just like parathas, the dough, however is slightly softer, yielding soft, spicy flatbreads. Some recipes also use buttermilk instead of water for a richer flavour. Perfect for a Sunday breakfast with the family or a quick, filling lunch to take to work. Probably one of the most well-known dishes from the cusine, the dal pakwan is a breakfast snack. The dish is high on calories from the pakwan (crisp puris) that are deep fried, so shallow frying the puris will help cut out some of the guilt without taking away the crunch. The channa dal (Bengal gram) needs to be soaked overnight and is cooked with ginger and spices like black pepper, amchoor (dried mango powder) and turmeric. A simple tadka of cumin seeds, whole red chilli and curry leaves adds to the flavour, which is enhanced by the sweet and tangy tamarind chutney that the dal pakwan is served with. The Sindhi kadhi tastes great with rice and is loaded with vegetables such as drumsticks, okra, carrots, eggplant and potatoes that are cooked together in a tomato gravy, which is key to its flavour. Unlike most kadhis that use buttermilk, the Sindhi version uses chickpea flour for thickening and taste.